It’s been a long and harrowing two weeks after a youth soccer team was reported missing and eventually found alive inside a cave in Thailand. That was the easy part. The hard part was figuring out how to get them out as the cave became flooded due to the arrival of monsoon season. The third day of the rescue mission concluded with the final four players and the coach being removed from the cave, according to The Associated Press. 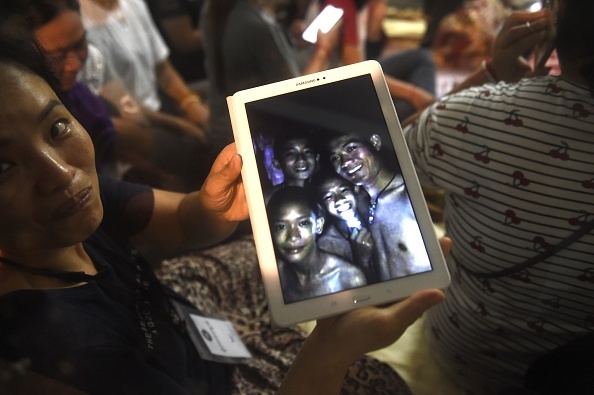 “Thailand’s navy SEALs say all 12 boys and their soccer coach have been rescued from a flooded cave in far northern Thailand, ending an ordeal that lasted more than two weeks. The 25-year-old coach was said to be in the worst shape of them all, as he gave every single piece of food he had to the kids and kept them calm throughout the entire process. “We are not sure if this is a miracle, a science, or what. All the thirteen Wild Boars are now out of the cave,” the Thai Navy SEAL team responsible for the rescue mission posted on its Facebook page Tuesday morning. The youth soccer team began their journey in an effort to explore the Tham Luan Nang Non cave following practice on June 23rd. It took 10 days for authorities to find the missing team and get everybody out alive.